HRH The Prince of Wales celebrated National Poetry Day 2016 with a reading of one of Seamus Heaney’s poems, ‘The Shipping Forecast’, on BBC Radio 4’s Today programme. The recording was been specially created for Seamus Heaney HomePlace, a newly-opened centre in Northern Ireland which showcases the poet’s life and work in an interactive exhibition. 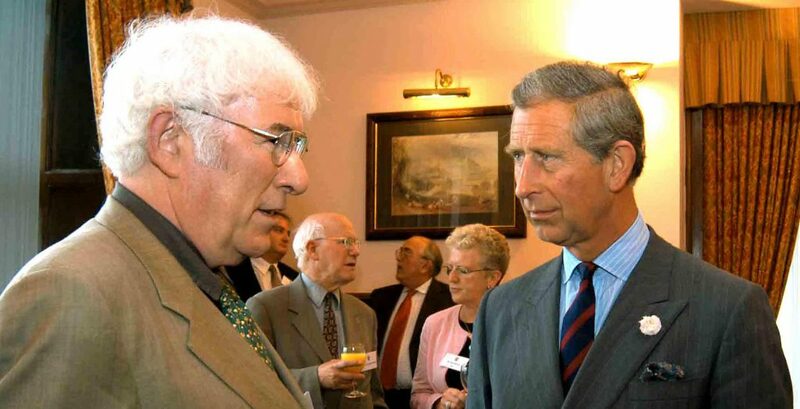 The Prince of Wales, a patron of the arts, is a great admirer of poetry, and in particular, of the work of the late poet and Nobel Laureate Seamus Heaney. Having corresponded with Heaney, who was a guest speaker at The Prince’s Teaching Institute (PTI) Summer School for secondary school teachers, The Prince of Wales was delighted to make this personal selection from Heaney’s complete works. His recording of ‘The Shipping Forecast’ – a sonnet from the poet’s fifth collection, Field Work (1979) – will form part of the exhibition at HomePlace, which was opened by the Heaney family on 29 September 2016.